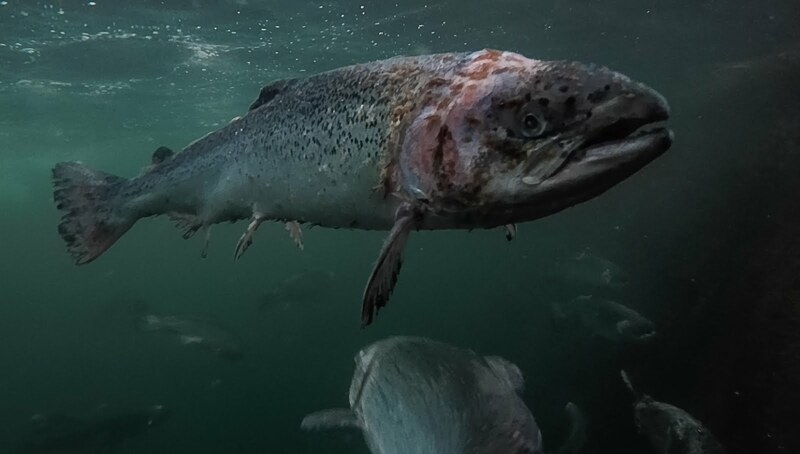 A decision by the Department of Agriculture and the Marine not to release documents relating to fish diseases in Irish salmon farms may be investigated by the Oireachtas Petitions Committee. Set up in 2015, the petitions committee examines requests from members of the public and is empowered to report to the Dáil with recommendations, as well as asking that its report be debated by the Dáil. The request for the committee to examine the Government’s decision follows the refusal of the Department of Agriculture and the Marine to release records relating to fish diseases at salmon farms. In response to Parliamentary Questions last November, Independent TD Clare Daly was told that 41 outbreaks of disease on salmon farms have been notified to the department in the last two years. In a separate parliamentary reply, Minister for Agriculture and the Marine Michael Creed said extensive mortalities at one fish farm were due to Cardiomyopathy Syndrome (CMS), a severe viral cardiac disease. But the Boycott Farmed Salmon Campaign which sought more information from the department under the Access to Information on Environment rules, were told the records were being withheld. Now the Boycott Farmed Salmon Campaign has asked the Petitions Committee to examine the department’s decision and if necessary, to take the matter to the Dáil. Tony Lowes of the Boycott Farmed Salmon Campaign said recently published work in peer reviewed literature showed fish disease had spread from farmed salmon to locally caught wrasse in the southwest. Wrasse have been used as cleaner fish to control lice in salmon farms. The Boycott Farmed Salmon Campaign has published a list of the descriptions of the 212 records they claim they have been have been denied, including all the notifications from the fish farm to the department, mortalities and stocking details, emails from vets, and the etiology (manner of causation of a disease) - of the fish kills. Petitions Committee chairman Sean Sherlock said he had not yet seen the petition. But he said “every petition which comes before us would be given due consideration by the members” and a decision would then be made on whether debate the issue.